In more than four-and-a-half centuries, Jakarta has changed its name several times. The names were either given by the Dutch, the Japanese, as occupiers of the territory, or the government. When Indonesia gained its independence, the capital was formally named Jakarta, although some people still refer to it by its other nicknames, such as 'Big Durian' or 'J-Town'. In the 14th century, the city's shore was the main harbor of the Sunda Kingdom, the territory's ruling monarchy in those days. 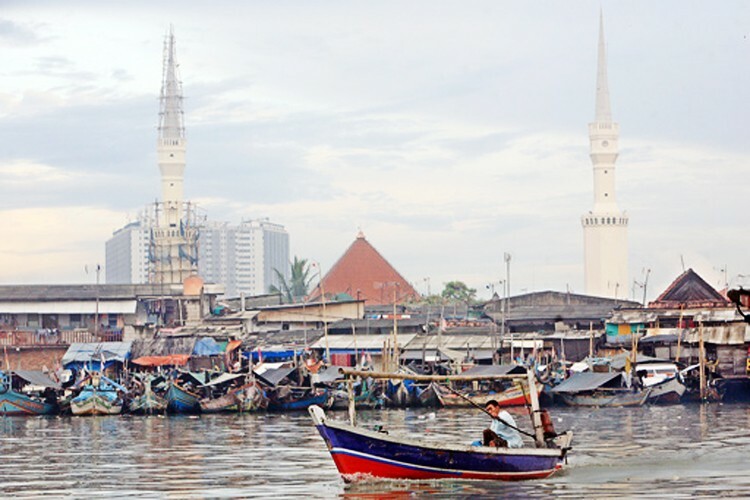 The seaport was named Sunda Kelapa for its strategic and thriving location for pepper trade that attracted foreign nations. In 1522, the Portuguese secured a political and economic agreement with the kingdom to provide military assistance to the latter against the threat of the rising Islamic Javanese. The reigning king granted them free access to pepper trade sources. The Portuguese eventually made their homes in Sunda Kelapa and took control of the harbor from the kingdom. On June 22, 1527, there was a coup led by Fatahillah from the Demak Sultanate in Central Java to take control of the area from the Portuguese. The army attacked the harbor and succeeded to conquer it. Fatahillah later named the city Jayakarta, taken from Sanskrit meaning 'victorious deed'. The territory became part of the Banten Sultanate afterwards. Today, the day of the attack is commemorated as the capital's anniversary. In March 1621, the Dutch East India Company (VOC) took over the territory from the ruling Banten Sultanate and named it Batavia, another name derived from the Germanic Batavi tribe, as they believed that the tribe members were their ancestors. The city was named Batavia for more than three centuries, all under Dutch rule, as various efforts to take the area were met with failure. In 1942 the VOC surrendered and Batavia became occupied by the Japanese army. On March 9, 1942, the Dutch officially surrendered to Japanese occupation forces and Batavia fell to Japan. The Japanese then renamed the city Jakarta Tokubetsu Shi (Jakarta Special Municipality). To strengthen their position in Indonesia, the Japanese government issued a law to restore power balance to the regional administration system, and divided regional administrations into several municipalities, down to the lowest level of neighborhood. A 'Schichoo', or Mayor, held the highest position at that time. After Japan surrendered following its defeat in World War II, the city was referred to as Jakarta. In August 1964, the government introduced a law to reinforce Jakarta's status as the capital city. Law No.34/1999 later changed the formal name to Jakarta Provincial Administration and divided the province into five municipalities and a regency. This article was originally published in The Jakarta Post's print edition on June 14, 2013, with the title "Weekly 5: The capital's 'childhood' names".